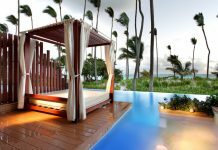 Grand Bahia Principe Cayacoa is located in Samana, on the Dominican Republic’s northeast coast. 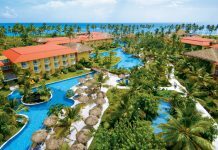 Highlights of the all-inclusive resort include a beautiful pool overlooking the ocean, four bars, and above average a la carte restaurants serving Italian, French, and Mediterranean cuisine. There are 295 rooms at the resort, all featuring air conditioning, hydromassage bathtubs, mini-bars, and balconies or patios. Guests who book at the Club Golden level get extra amenities like 24-hour room service, pool and beach towels on arrival, bathrobes and slippers, club house access, and other VIP perks. Grand Bahia Principe Cayacoa has a standard buffet plus three a la carte restaurants: Dolce Vita, Orquidea, and El Pescador. It should be noted that there is a limit of three a la carte dinners per person, per week (Club Golden guests get four dinners per week). 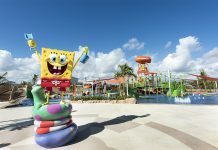 There are four bars, including a pool bar and beach bar. There’s also free transportation to Pueblo Principe, a nearby plaza with additional shopping and dining. Fly into Saman El Catey International Airport, Dominican Republic (AZS). The resort is about 50 minutes from the airport. 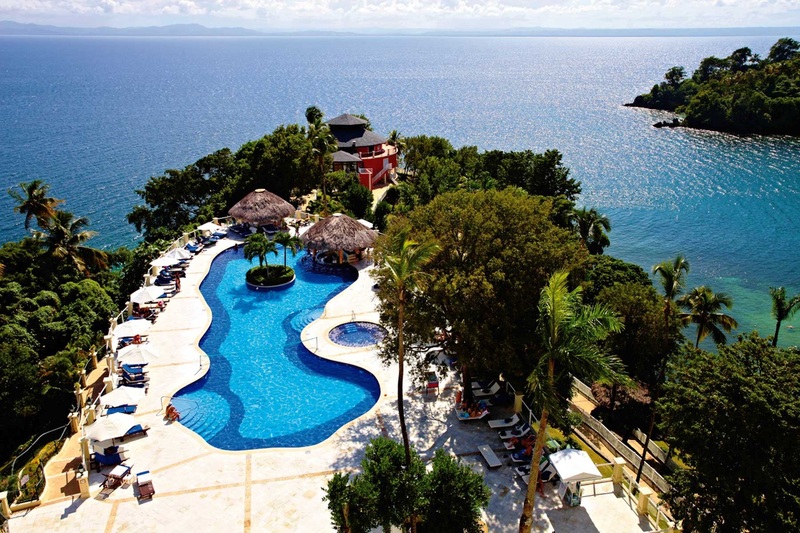 Visit Grand Bahia Principe Cayacoa’s website for more information.